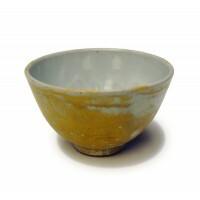 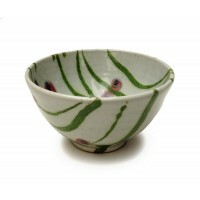 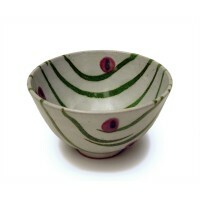 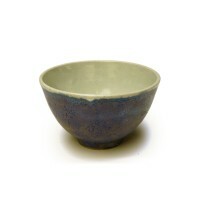 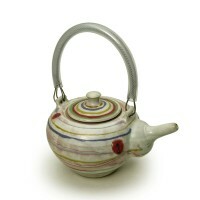 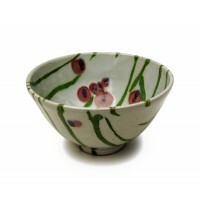 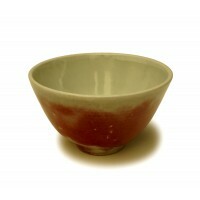 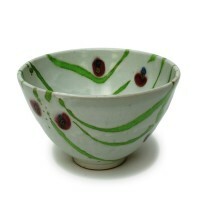 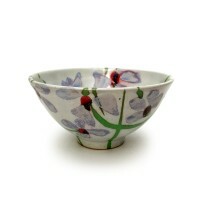 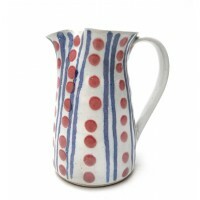 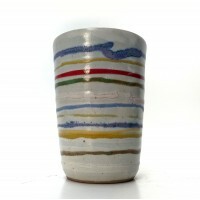 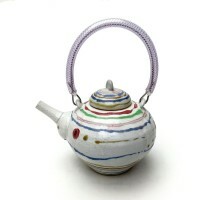 A white hand thrown stoneware bowl with bands of coloured glazes. 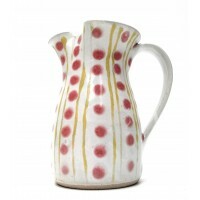 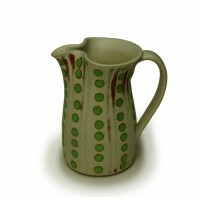 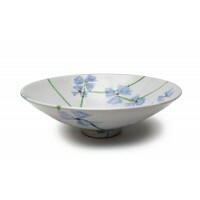 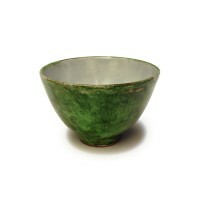 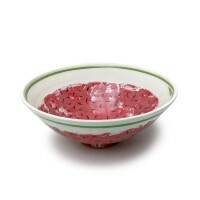 Excellent for serving salad or as a fruit bowl. 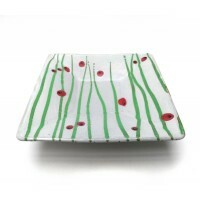 Just put it on the table and look at how great it is. 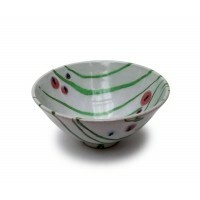 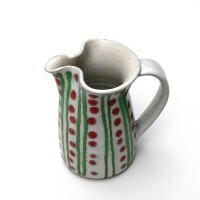 Size: Diameter 9" x Height 3.75"
A hand thrown stoneware bowl with white glaze, melon pattern decoration in green, red & black.Suitable for serving salad or pasta.This Bowl is 11 inches in diameter and 4.5 inches deep.Care: Microwave..